The use of Platelet Rich Plasma (PRP) is not new; it has long been recognized for it’s accelerated wound healing properties in such applications as surgery and sports injuries. This technology is now being used for cosmetic enhancement with outstanding results. When the PRP is activated it causes the release of at least 8 growth factors that will activate multipotent stem cells already in the skin (tricking them into “thinking” there’s been an injury). These multipotent stem cells then grow new collagen, new blood vessels, and new fatty tissue trying to “repair” the skin that was never injured. It is a non-surgical procedure. Because it uses your own blood, there is no risk of allergic reaction. It is effective for both men and women. It can be used in conjunction with other procedures, such as laser treatments. 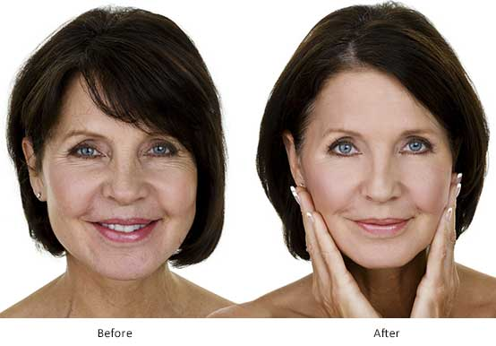 PRP can be used with or without added fillers. The Vampire Facial is a procedure that uses the patient’s own Platelet-Rich Plasma and micro needling to improve the appearance of the face while increasing collagen production, enhancing color, and diminishing scar, acne, and dark spots. All-natural, virtually painless and non-surgical procedure that can rejuvenate and revitalize vaginal and clitoral function improving sexual function, Helping with tighter vaginal opening, stronger orgasms, increased natural lubrication. Results can last indefinitely. Most last at least 1-5 years and may require further procedures. What is the Vampire Breast Lift? Possible 10 to 20% increase in length and girth. All information presented in this website is intended for informational purposes only and not for the purpose of rendering medical advice.